Gorgeous !!! 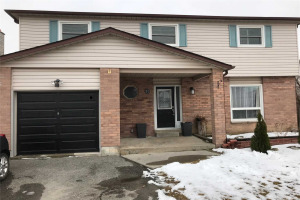 Less Than One Year Old,4 Bedrooms Detached Home With 5 Washrooms (3575 Sqft) .Executive Office On Main Floor.Separate Living + Dining Area & Family Area. $$$ Upgraded Hardwood Floors On Main & 2nd Loft & Lobby Area, Gourmet Kitchen,Quartz Counters, Backsplash, Breakfast Bar,9 Ft Ceilings, High-End Jenn-Air S/S, B/I Appliances. M/ Bedroom W/ Glass Shower & Soaker Tub. Spacious Loft On 2nd Floor. Available Jan 01,2018.Tenant Is Responsible For Utilities And Content Insurance. Job Letter, Credit Check,1st & Last Rent. No Smoking And No Pets Please.